Do you guys know Kyla from House of Hipsters? Not only is her style en pointe, she’s the queen of building community online. (Like seriously, if you need someone to be your biggest cheerleader, Kyla’s got your back). 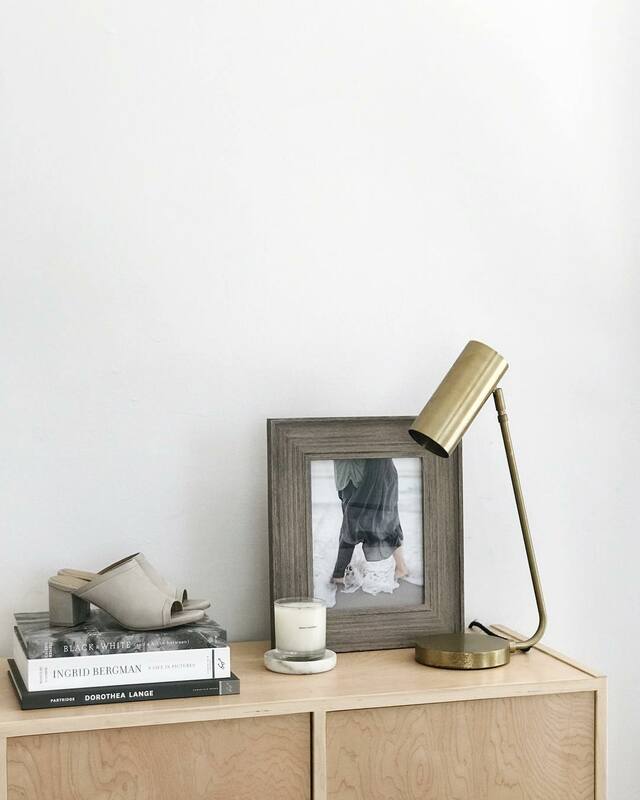 Most recently, she rounded up a bunch of us bloggers to participate in the No Makeup Home Tour—a day of blog posts in which we’ll all pull back the curtain to reveal that even though we don’t always share them, our homes have the same warts and wrinkles as everyone else’s. It’s so important for us all to be able to laugh and cry together at life’s little (or big!) imperfections, because it’s exactly those imperfections that unite us and make us human. 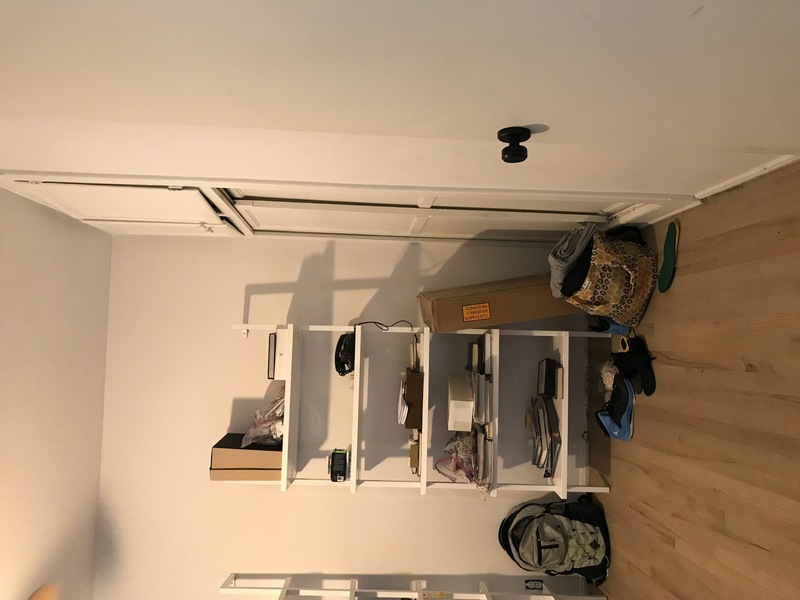 So without further ado, here are three photos of my house—and the “blogger myths” they debunk—that make me laugh, cry, and feel very human indeed. Myth 1: My house always looks as great in real life as it does in photos. Ha! Nope, definitely not. In fact, my house more commonly looks like the above than it does my carefully styled and filtered Instagram photos. What are we seeing here? 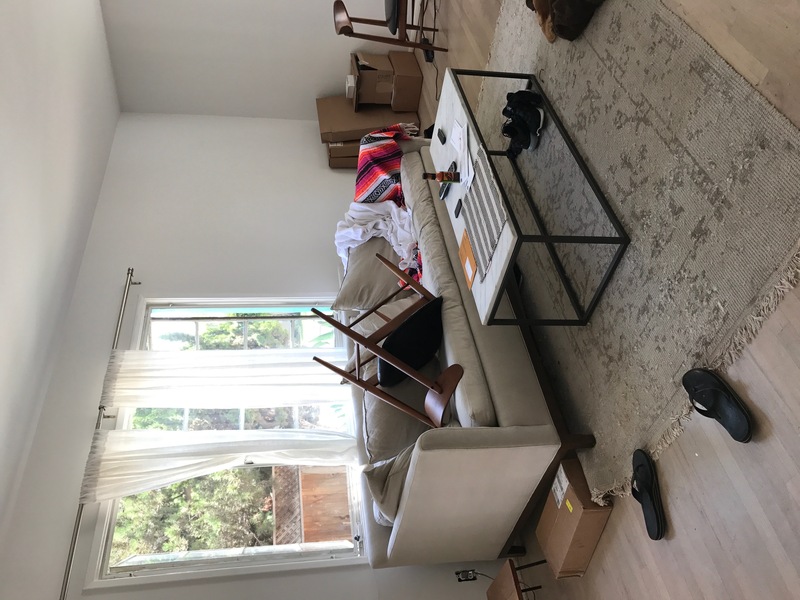 Well for starters, we’ve got four pets who love to jump on the sofa, so create a barricade of dining chairs to keep them off and only tear it down when we want to watch TV. I’m always receiving boxes of product to incorporate into shoots, and my husband jokes (laments?) 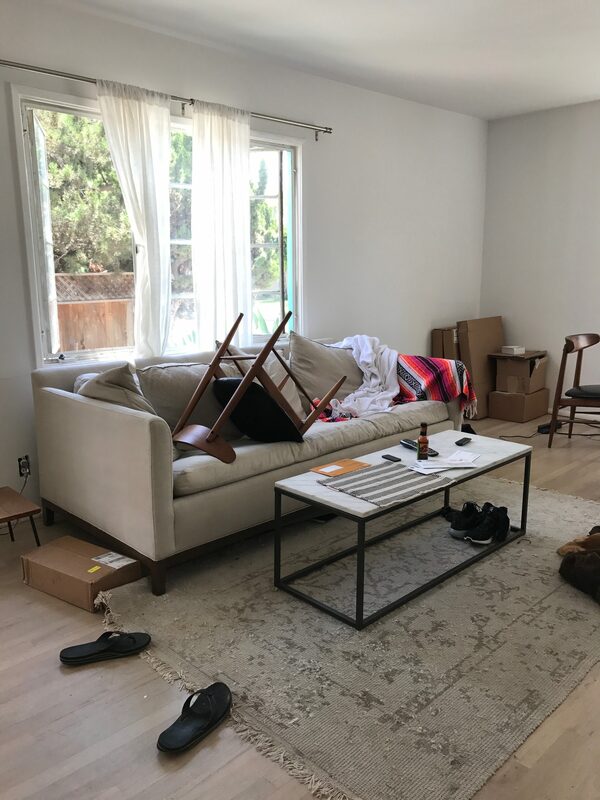 that our living room looks like a shipping and receiving We eat dinner at the coffee table in front of the TV, and we’re not always great about putting the ketchup and hot sauce away after we’re done. Oh, and on the far left of the photo, see how the outlet plate is missing? We embarked on a project to swap them all out with fancy ones, and then abandoned it halfway through and still haven’t finished. And don’t even get me started on the state of that rug. Classy, huh? Myth 2: Every room in the house is thoughtfully and expertly designed. Hahaha wouldn’t that be nice? In reality, the house is an ongoing laboratory for my latest design obsessions, for just as soon as I “finish” one room I start in on the next, even if nothing is technically wrong with it. And then there’s the room that time forgot: Our second bedroom which functions as Ivan’s home office. It’s less of a workspace and more of a dumping ground for the overflow from my various project and endeavors. Most recently it stored our fridge and all our kitchen and pantry supplies during the kitchen renovation. He really had a blast taking conference calls with the constant hum of a major appliance in the background. Myth 3: Home makeovers happen overnight. Maybe on HGTV, they do! In reality, major and minor updates alike require weeks and even months to be photo-ready. 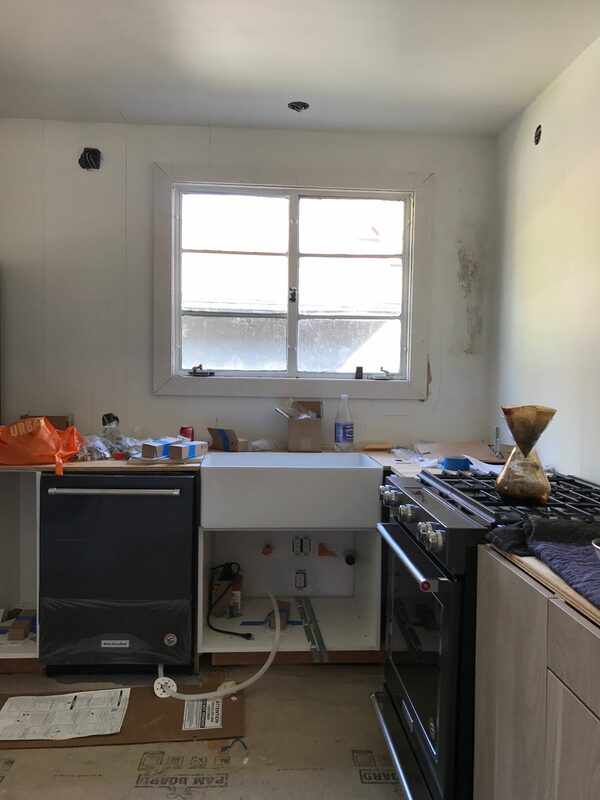 We demo’d our kitchen on August 16 and our kitchen is still at least 3-4 weeks from completion. We’ve had almost every subcontractor go AWOL at some point or another (including a plumber who took our money, left the job unfinished, and broke our fridge.) We awoke one morning to discover that the floor was flooded underneath the protective cardboard in the photo above. 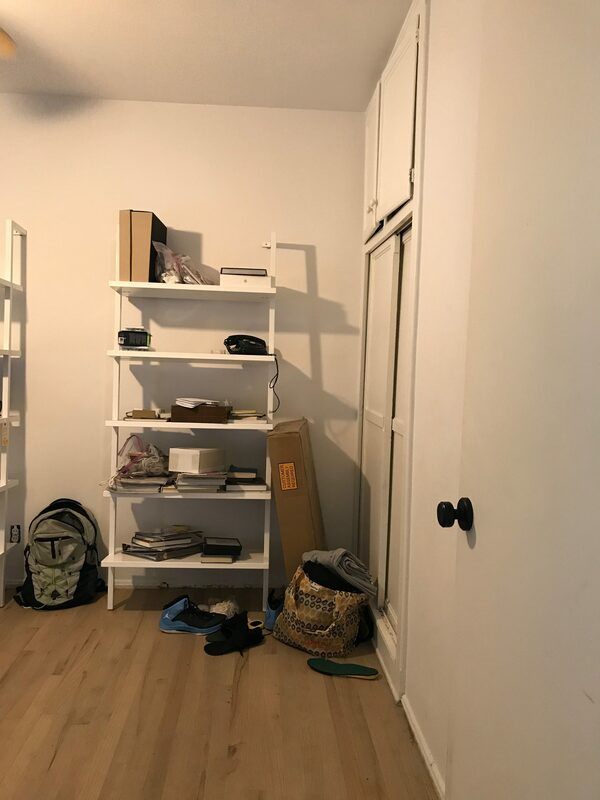 We mis-measured the counter depth by 6 inches and had to rip out the completed drywall and pocket door to make the doorway smaller. And frankly, we’ve had a smooth renovation compared to some of the horror stories I’ve heard. 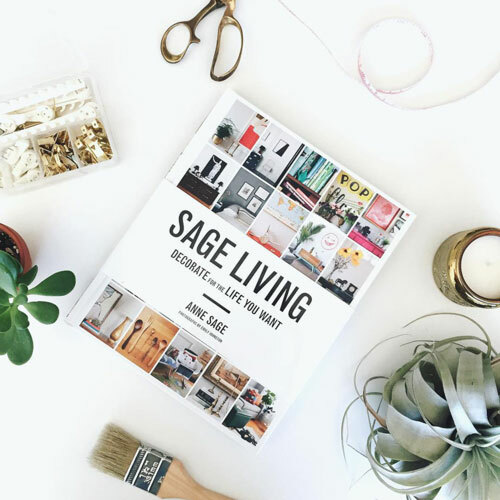 Home improvements are messy, frustrating, and a daily practice in surrendering control—just like life itself! So there you have it! Just a few glimpses at the chaos behind the pristine facade of my blog and Instagram feed. I’ve been sharing these peeks a lot more on Instagram stories (it feels good to be real, you know!) so be sure to follow along on my adventures there! 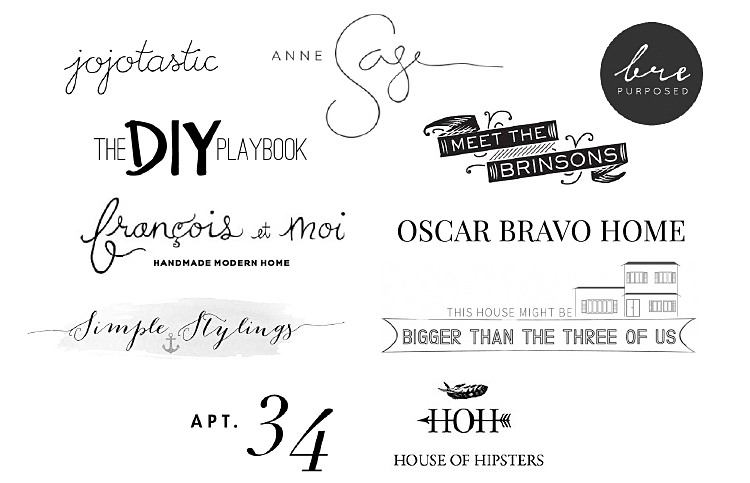 And also be sure to check out the other bloggers in the No Makeup House Tour. We’re all in this together, you guys! An Art-Inspired Light Lab Living Room Makeover with Art.com!